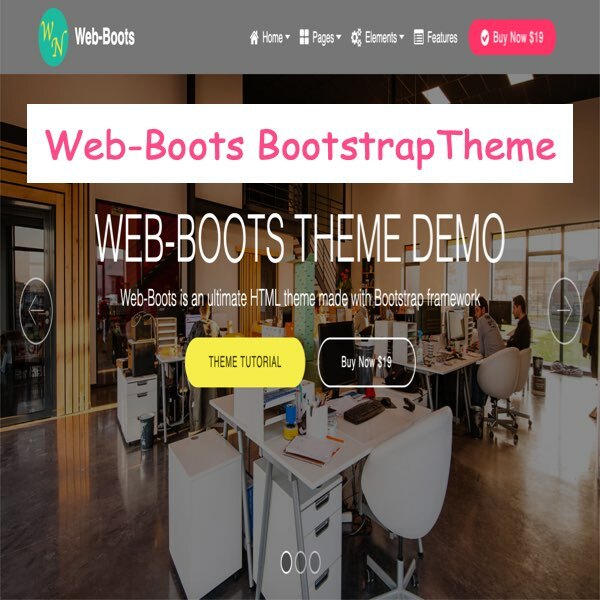 Web-Boots is a HTML theme made with Bootstrap 4 framework. 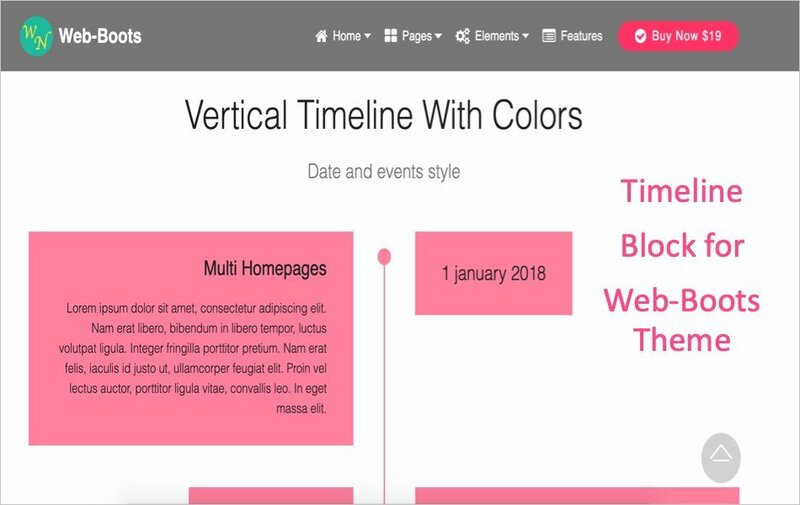 This is an only HTML theme you ever need and comes with the following features. You can view the live demo of the theme and checkout the complete tutorial on how to use. 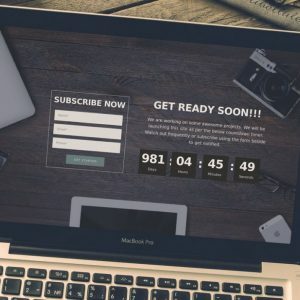 10 home page layouts you can choose from. 10+ pre-defined page layouts for about us, contact us, services, parallax page, etc. 100+ reusable blocks with background color, parallax image background and video background. 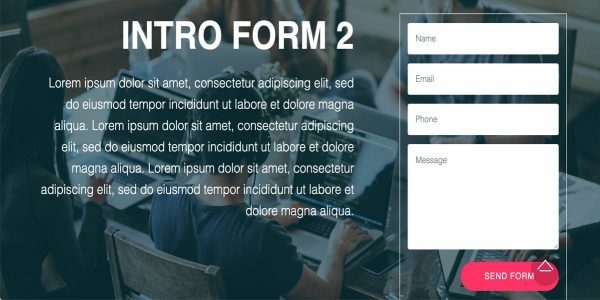 Elegant blocks for timeline, pricing tables, contact forms, maps, team members, testimonials, client carousel and social icons. Featured sections, image flip, progress bars and counters. 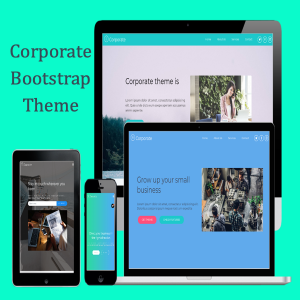 Category: Bootstrap Themes. 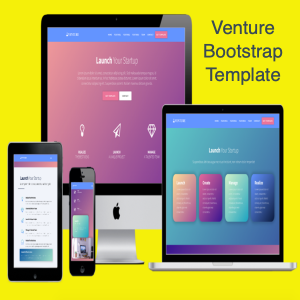 Tags: Bootstrap, HTML, Template, Theme. 10 home page layouts for agency, dark, portfolio, parallax, business, designer, creative, corporate, video header and default. 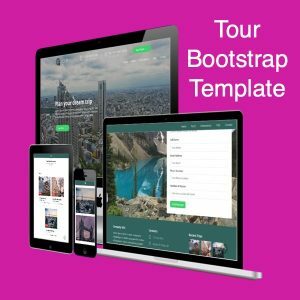 10+ pre-defined page layouts for services, about us, contact us, parallax page, portfolio, pricing page, FAQ, maintenance mode, article page, product launch and team members page. Demo pages supplied with sample videos, images and dummy content. When you purchase the theme, you will get the download link. 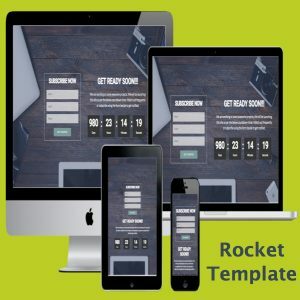 Download the zip file containing all HTML layouts and theme assets. Edit HTML files and replace the dummy content with your own. Open the path in browser with index.html to see the live site. Each HTML file has relevant CSS and Scripts files in header and footer respectively. You can add the remove the file links if necessary.